FMJ Shooting Range offers a state of the art indoor range, offering gun rentals, 13 lanes to shoot from, digital distance entry and motorized target hangers, benches to shoot from, acoustic noise reduction materials, and more. FMJ offers retail sales of firearms, ammunition, and all related equipment. We offer all of your favorite brands of firearms along with sales personnel that have many years of experience in the firearms industry. We're also home to Lightning Works, a gunsmithing and rifle building company. 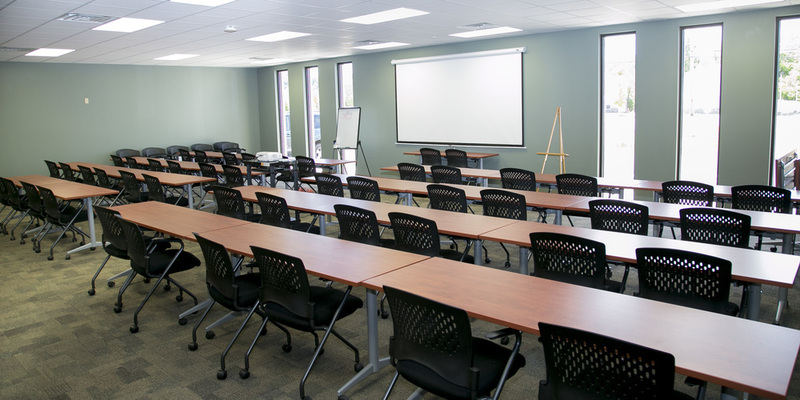 Used for our training programs and available for meetings, business outings, and more is our 1400 square foot conference room, which offers seating for up to 90 people, along with packages for both the conference center and shooting range.